This is a post by Free Homeschool Deals contributor, Samantha at Creative, Clever, and Classy. Explore color with this free printable great for pre-K! 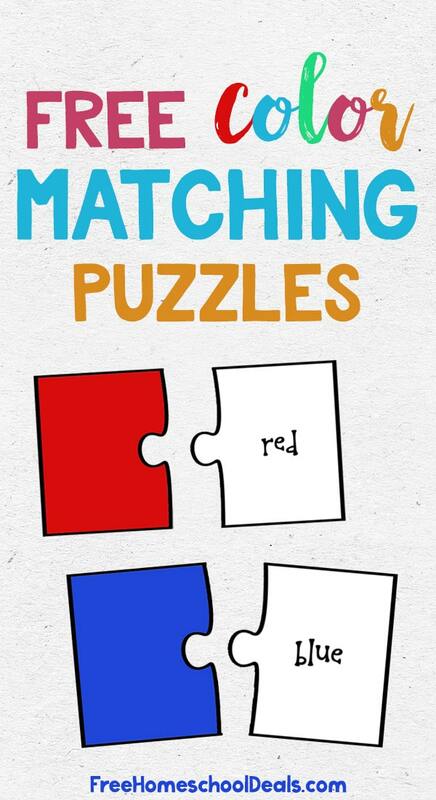 Cut out the puzzle pieces and match them up. It’s great for increasing fine motor skills and practicing color recognition. The colors included are red, orange, yellow, green, blue, purple, pink, and black. For even more fun, flip them upside down to play “memory” with them!